At this year’s Milan Design Week, we teamed up with PLATFORM Magazine to launch atlas design collection; translating Mesopotamian knowledge and aesthetics to our times with a product and textile line. The launch took place at Casa Platform, Brera Design District on the 19th of April and collection is exhibited till the 21th of April. 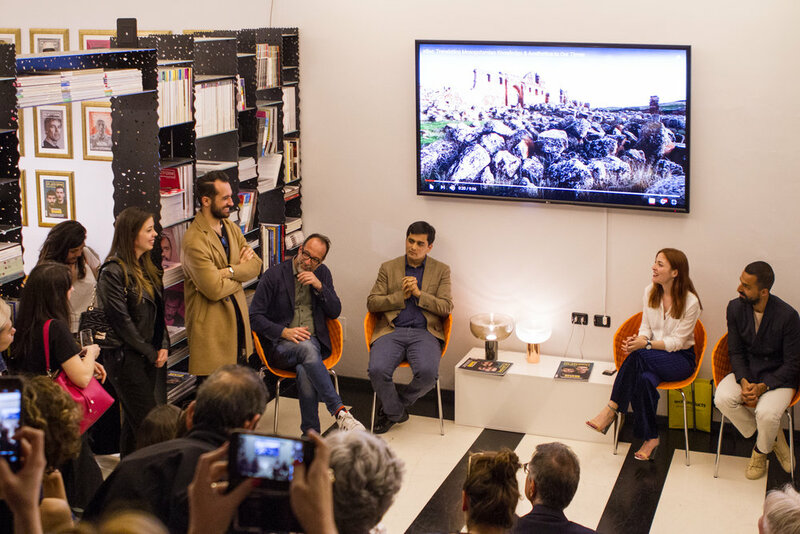 Moderated by Luca Molinari, Editor-in Chief of Platform Magazine, Curators Bilgen Coşkun & Dilek Öztürk, District Government of Harran Mr Ömer Faruk Celik and designers talked in the panel where they explained the story and process behind the collection. Within the curatorship of Dilek Öztürk and Bilgen Coşkun, founders of in-between.online, atlas aims to integrate global design discussion with social aspects as well as sustainable design economy.